'Code Vein' is a studied and tactical take on the Soulslike genre, with an anime look all its own. 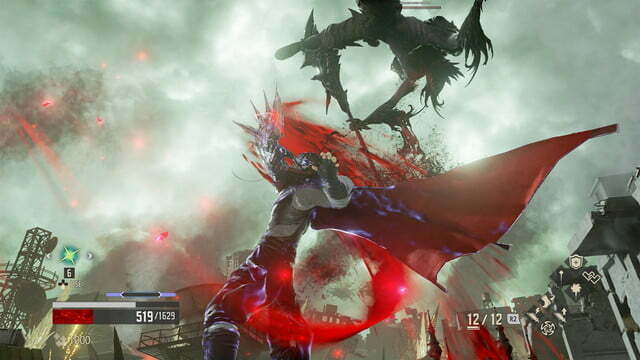 Like Nioh, Code Vein wears Hidetaka Miyazaki’s influence on its sleeve, taking the signature gameplay of From Software’s notoriously tough RPG while adding its own spin to its combat, progression, and, of course, visual direction. 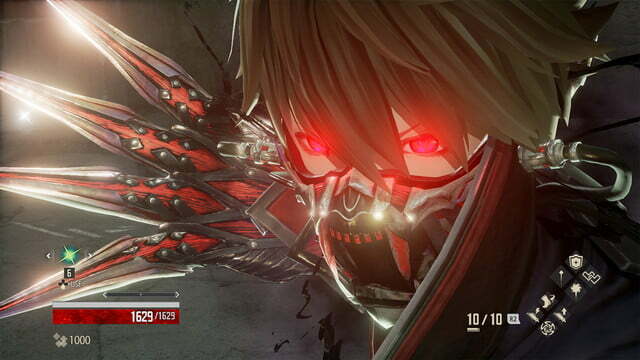 We went hands on with Code Vein on PlayStation 4 at a recent Bandai Namco event in New York to see how it measures up to the modern classic with which it begs comparison. What we found was more familiar than fresh, but we suspect that will be more than enough for a lot of fans. 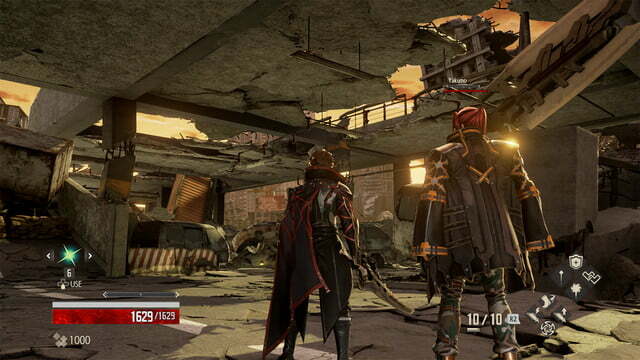 Like the Unkindled in Dark Souls’ Lordran, in Code Vein you play as the undead denizens of an isolated, post-apocalyptic city. You and other Revenants have lost your memories from life, and must work together to restore them and escape. Your nemesis, “the Queen,” is another revenant content to rule the city and save its limited resources for herself. 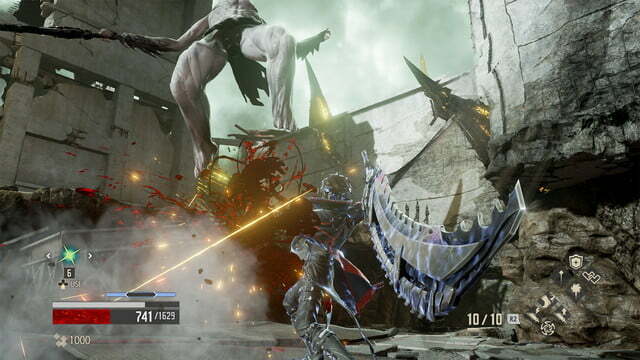 The foes you’ll face throughout are all former Revenants, driven to become “Mad Lost” when they run out of blood, the game’s equivalent currency to souls that fuels character progression. Like Dark Souls, you collect blood from every enemy you kill, and drop your unused stash at the site of your death, to be re-collected in your next life. Gameplay mostly focuses on combat and exploration of the game’s interlinked and varying environments, laid out around a central hub. Our demo spanned two areas: a dark, cave level full of humanoid lost, and an urban, post-apocalyptic arena boss fight against a “Queen’s Knight” — a tall, imposing, and armored warrior that gave us a tricky, pitched battle. Maintaining the same basic framework as Souls, the game has a health bar to track your life and recharging stamina to limit your actions. Light and heavy attacks balance speed and strength, depending on your needs, and a dodge roll and parry help get you out of hairy situations. As in the Souls series, you are committed to your actions once the button’s been pressed and the animation’s triggered, encouraging deliberate, tactical play rather than button-mashing. 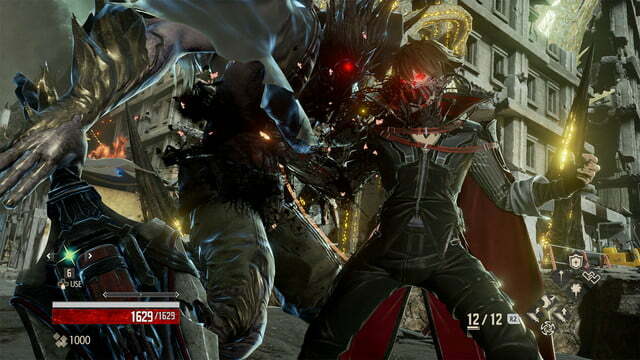 While similarities to the Souls games will draw many players in, how it differs from that source material will determine whether Code Vein sinks or swims. 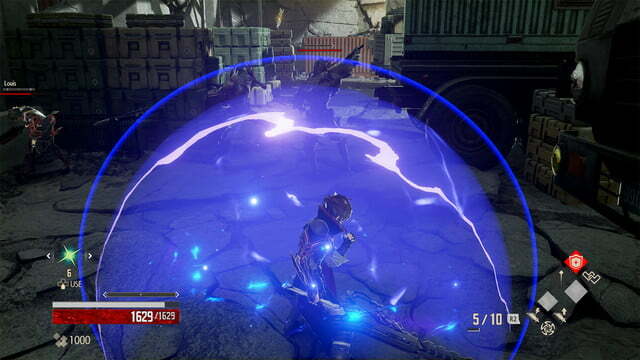 In addition to Health, Stamina, and Blood, the player also has a “Focus” meter, which fills whenever you receive damage or dodge attacks. 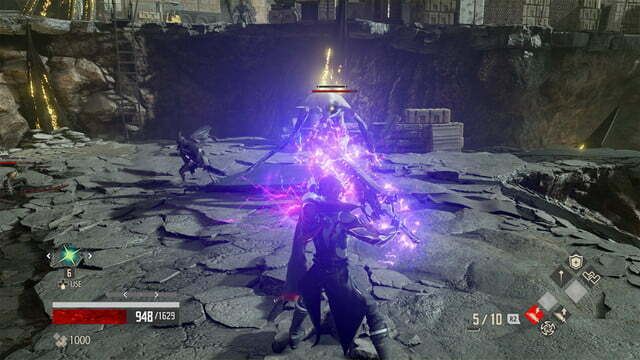 A full focus meter can be used to for special blocks, attacks, and throws, rewarding aggressive players with a kind of momentum for putting themselves into harm’s way. In addition to blood, players also earn “Ichor,” a mana meter of sorts that is spent to power special abilities called “Gifts.” Gifts range from temporary passive buffs, such as adding lightning to your weapon attacks or increasing their speed, to more conventional spells like bolts of magic or healing for your ally. Up to eight Gifts can be equipped at a time. 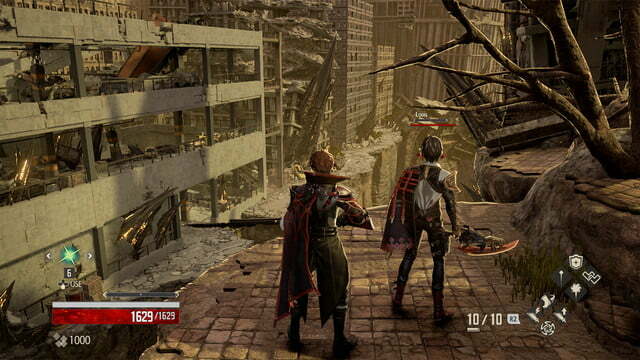 What sets Code Vein apart most from its predecessors is that you can have an AI-controlled companion with you at all times, chosen from a range of characters with different skills. Choosing your partner is both a strategic concern — you want to choose the character you feel best compliments your play style — as well as a narrative one, because each character imparts their personality onto your adventure, and has unique sidequests for you to follow. Choosing your partner is both a strategic concern as well as a narrative one. Having a companion definitely helps take the edge off of the genre’s notorious difficulty, giving the player a little more room to fail. Whenever we died there was a short window during which our companion, if alive, could revive us by donating half of their remaining health. We could do the same for them using one of our gifts, which was crucial for surviving the punishing Queen’s Knight battle. Even with backup, the fight was extremely challenging, but having an ally definitely helped mitigate that hopeless feeling that can come from slamming your head against the same boss repeatedly. 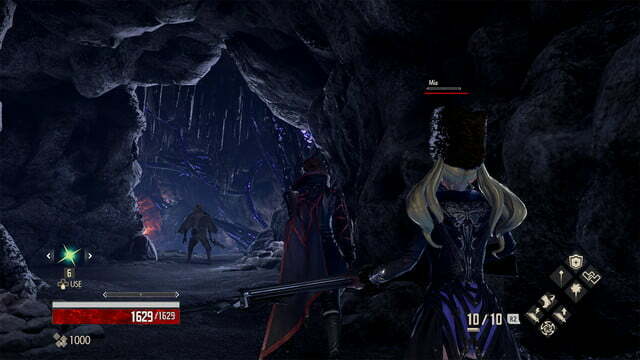 Another layer of customization unique to Code Vein is a more flexible class system. 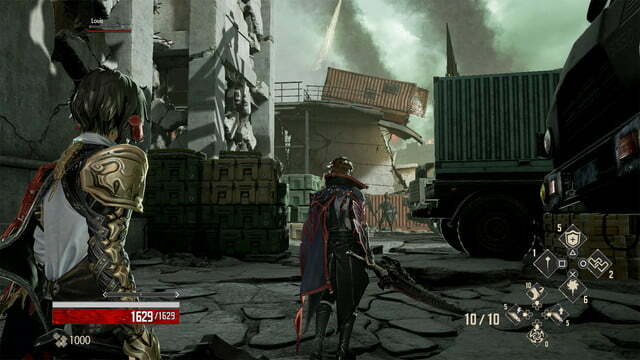 While Souls games ask you to choose a class at the beginning, which you then modify through incremental stat changes, Code Vein’s classes are worn lightly, like a hat, and can be swapped out at any time. Called Blood Codes, these correspond to the classes you would expect for the genre, like an up-close brawler or a spell-slinger. Players level up their Blood Codes through experience, increasing their stats and unlocking new Gifts. Like the job system in Final Fantasy V, the player can swap Blood Codes as the situation demands, mixing and matching abilities. 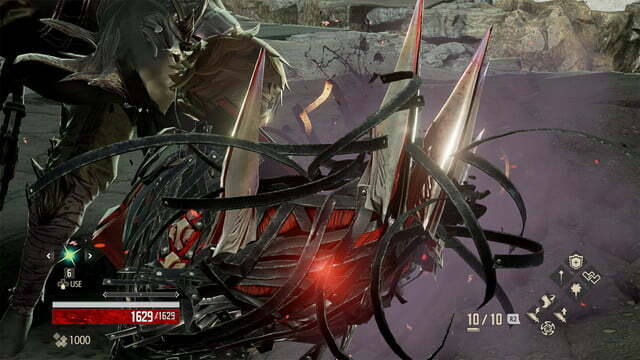 That reactive customization is probably what makes Code Vein stand out from the growing crowd of Soulslikes. Between Blood Codes, Gifts, and Companions, you have a lot of ways to tweak your character build on the fly, as opposed to proper Soulsbourne games in which you’re a bit more committed to your choices. Punishing difficulty alone isn’t enough of a selling point for a game without an iterative defining hook, but these sorts of quality of life gameplay improvements make the game stand out in an increasingly crowded genre. We enjoyed our limited time with Code Vein, even if it did not particularly hook us. While the combat didn’t quite have the weight and deliberate pacing we’ve come to associate with Soulslikes, it fills the battle system out with additional mechanics (e.g. Focus, Ichor, and Gifts) that open up new tactical possibilities. It’s a fundamentally iterative design, and thus it will appeal to a largely self-selecting audience of players looking for this particular kind of experience, especially those that prefer the post-apocalyptic anime aesthetic over the Souls games’ grimdark gothic. That’s not to say that this is simply “anime Dark Souls,” either. That description is largely accurate, but reductive. Code Vein aims to be a studied and thoughtful genre piece, in which aficionados will find a lot to explore. Code Vein is on track to launch on PlayStation 4, Xbox One, and PC in early 2018.